The Philippines is quickly becoming one of the most popular honeymoon spots in the world. As a tropical paradise, it offers lovers the chance to bask in its natural splendor at very affordable prices. With 7,107 beach-laden islands and no shortage of 5 star resorts, this country creates the perfect setting for stolen romantic kisses and special moments with your other half. An urban sanctuary for both business and leisure travellers, Berjaya Makati Hotel offers accommodation of sumptuous comfort and uncompromised convenience where guests can rest and unwind after a long busy day out and about in the city. With a prominent address in the central business district of Manila, within walking distance to Ayala Museum and Greenbelt t the city[s most stylish shopping area, Berjaya Makati Hotel is the ideal location from which to enjoy the vast array of entertainment options and fine attractions on offer. Savor a burst of unique flavors from the fusion offerings of Filipino favourites, North Indian delicacies, Western cuisine, and Malaysian dishes when you dine at Berjaya Makati Hotel. Set in a mountain resort in Antipolo, Luljetta’s Hanging Gardens Spa has a commanding view of the majestic Laguna de Bay and Manila skyline. It is a spa destination like no other and named one of the top summer destinations in the country. 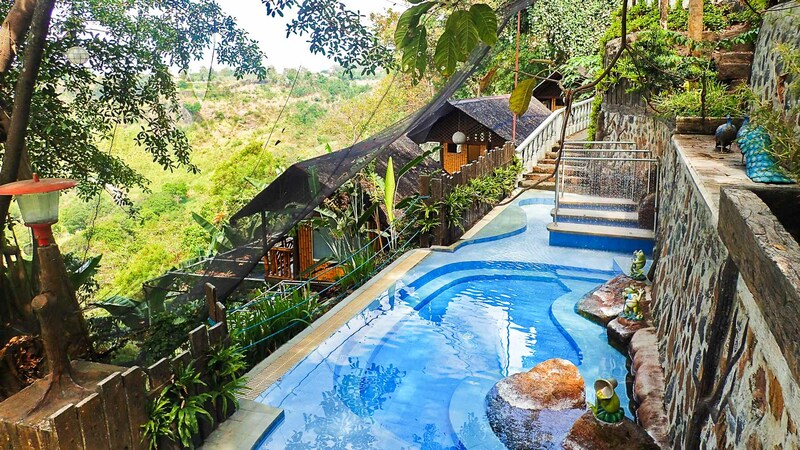 Luljetta’s is often referred to as Antipolo’s best kept secret. Reconnect with nature and recharge yourself at Luljetta’s. Enjoy the various facilities for free like the heated jacuzzi, hydro-massage pool, infinity pool, meditation lounges, sauna, and locker (included in the package). After an afternoon snack of Antipolo’s best suman (rice cake), a relaxing massage awaits to fine tune your body and mind (included in the package).